www.oceanicdreams.com was first launched in 2003 and this blog in 2006. Both have been separate and never coexisted. We have changed that, in fact we have completely revamped our website and integrated the blog in it as well. We want to be able to tell the stories with photos and words in one place! Please update your RSS feed or subscription at www.oceanicdreams.com/blog + visit the new site and let us know what you think. This will be the last post here. 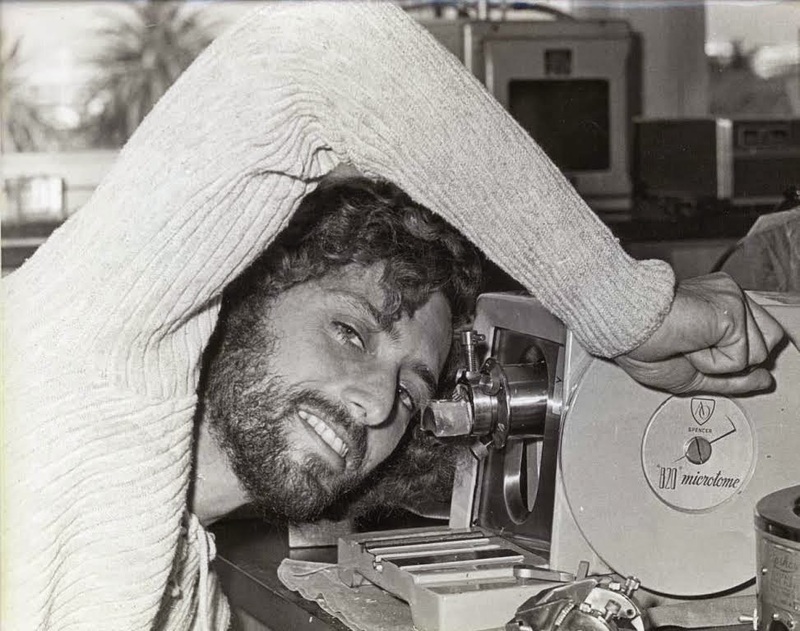 Not much probably, other than some basic facts of his achievements as one of the most, if not the most prominent and illustrious shark science pioneer he has been during the last half century. 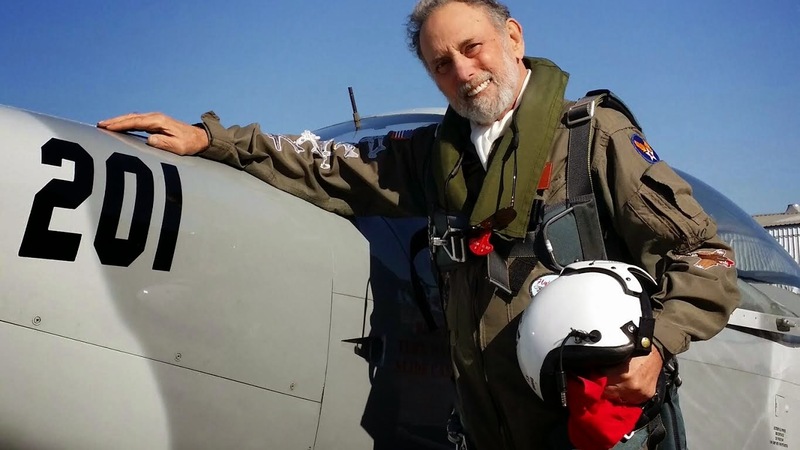 I have the privilege to know "Doc" Gruber (I call him "Docman"; he calls me "Wolfman") as a friend, and we are drawn to each other mainly by our love of sharks and old WWII airplanes, which he, lucky Doc-Duck, actually flies as some sort of a co-pilot every now and then. Not exactly a rather common hobby for a retired university professor, huh? 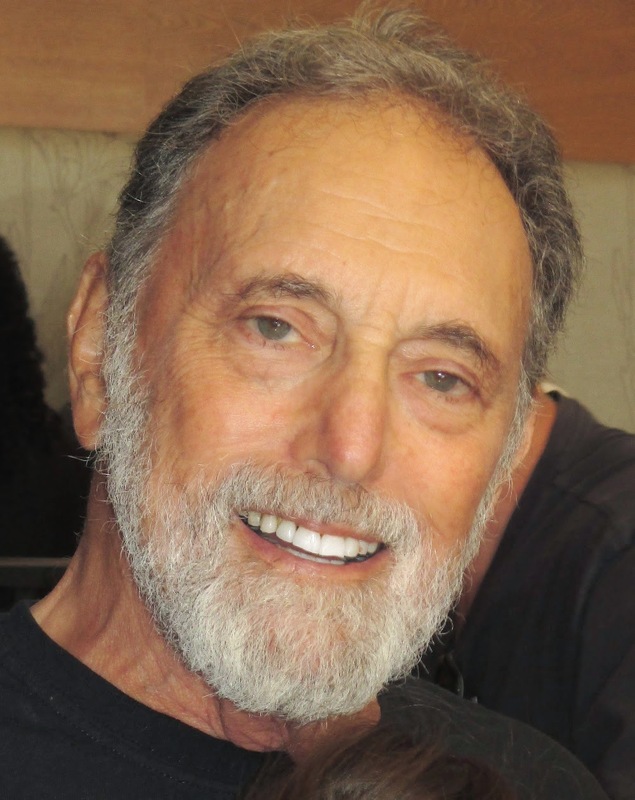 As stated in the title of this blog, I didn't really know that much about his background as a distinguished marine biologist myself - until now, that is. Now, shark ethologist and conservationist Ila France-Porcher has published Part 1 of an in-depth biography of "Doc" Gruber in the latest issue of the X-Ray Magazine of which she is a regular contributing editor in shark related matters. This on-line dive magazine has been ranked best in the world ("The best ranked scuba publication in the world on Alexa.com since 2009 - Winner of the MTA Press Awards 2011"). Ila's article will most certainly captivate all those who know the "Doc" or heard about him - a very large international fan club, no question about it. Part 2 and possibly Part 3 of Ila's article will appear in the next two issues of the magazine. 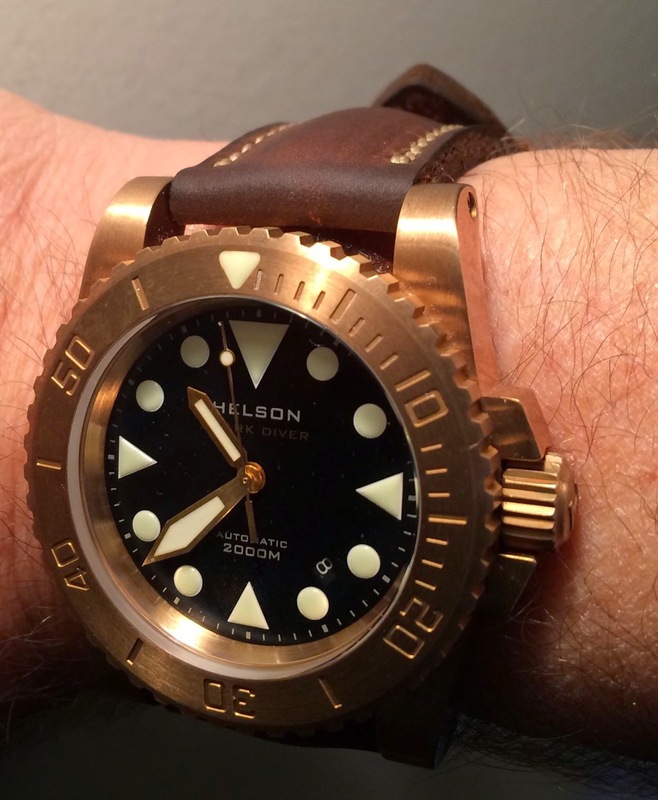 Now Helson came out with some incredibly attractive models in bronze (left on the above image). 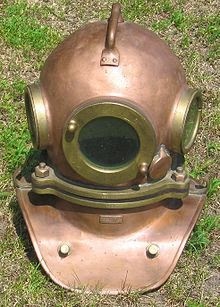 To me, they don't look like regular watches anymore - they look like submarine instruments, and their appearance is reminiscent of hard hat diving helmets which means a lot to me: It's helmet divers back in the mid-forties that ignited my lifelong passion for the underwater world. Back to the topic: As any other bronze object, the Helson bronze watches tend to acquire an incomparably beautiful patina after a short while, which is what makes them so very special. I know Peter Helson, and asked him whether he would offer my blog readers a special "OceanicDreams Discount" of 10%. He gallantly said: "My pleasure!" 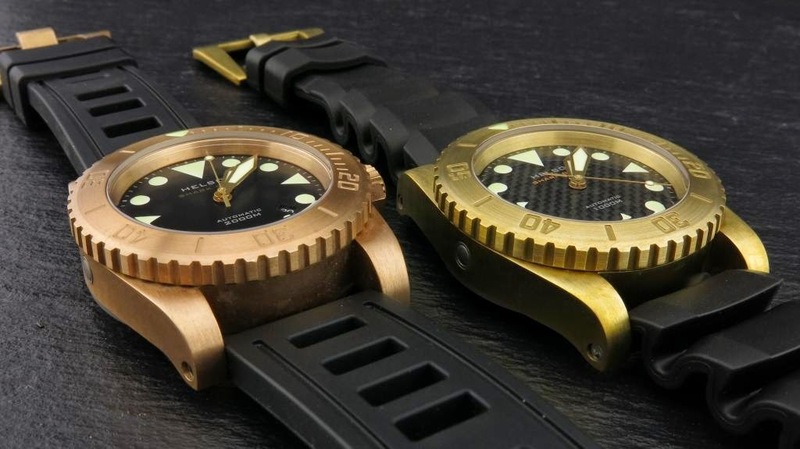 So, in case you want to buy a Shark Diver watch in bronze, order it online, and simply mention the "OceanicDreams" code to get your discount. Best wishes, and have the most memorable shark dives of your lives in 2015!! 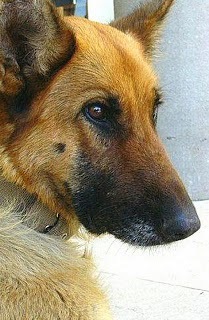 Chiara, my beloved dog died while I was away. I just discovered this blog in my drafts box - simply forgot to publish it. Even though Chiara died 6 months ago, I feel that I have to honor her by posting the blog, however belatedly. I have had Chiara since August 2008, and we grew quietly and deeply to be emotionally dependent on each other. There is not much more I want to say about our special relationship, except that both Lupi and I are devastated after losing Chiara. Lupi, her close and only companion during the last 6 years, will definitely miss her more than me. The guards of our gated community who looked after Chiara during my absence told me that she would not eat anymore for no apparent reason, and as a consequence "simply" passed away within some four days. Had I been around, it might not have happened as I would obviously have taken her to our vet right away. On the other hand, perhaps it was time for Chiara to exit the world. She must have been 12 years old when she died - that would correspond to 84 years of human life.